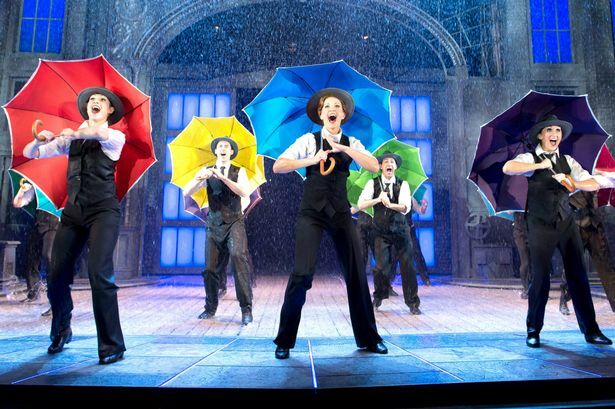 Musical Theatre – love it or hate it? Musical theatre is often an acquired taste (a bit like bovril) not everyone seems to enjoy book musicals such as Sweeney Todd but we can be certain that the spectacle that is The Lion King is always a crowd pleaser. I am an avid Musical theatre buff. Interestingly so, as I was born in a working class town in the North of England, far from the theatre hub that is the West End. I vividly remember my first venture into a theatre, five years old and my mum took me to see ‘Cats’ at The Winter Gardens in Blackpool. I think I was pretty much dancing in the aisles through the whole show doing high kicks and meowing, much to the annoyance of the rest of the audience. When I was 8 years old my mum took me on a weekend away to the ‘big smoke’ and I experienced my second Andrew Lloyd Webber musical (he was a rather popular chap in the 80s! ); Joseph. I remember it was a pretty big deal as Jason Donovan was playing the lead role in the West End – I was completely in love (with the pop star as well as all the amazing dancers twirling around on stage in beautiful costumes). So these brief encounters with the Lloyd Webber catalogue led to me picking up my suitcase (a la Maria in The Sound of Music) at the sweet age of seventeen and heading to London (again) to study at ArtsEd, one of the UK’s leading Musical theatre led drama schools. I think my friends in Yorkshire were so relieved, they were tired of me finishing their sentences with a song and performing high kicks at the most in opportune moments. Years on and many theatre experiences gathered in my memory bank and I still LOVE musicals. I love them on Broadway, I love them in the West End, I love them here in Jozi and down in the Cape. Musical theatre influences every single event I encounter. The excitement that the production creates amongst the audience, the alternate universe we create for that one night, the swaying skirts, the glittered costumes, the stunning technical elements, the insanely talented musicians, vocalists and personalities that we work with. So if you can, I implore you to go and support some South African theatre this early summer. Watch Skhumba flex his comedic muscles at Gold Reef City, see The Sound of Music a stunning production starring Craig Urbani in KZN, enjoy Annie in Jozi or Cape Town, a fab one for the whole family, watch the stunning pianist Ian Von Memerty in Keyboard Killers in Durban, see Shout! At Grand West, directed and choreographed by our favourite Cape Town Musical Director Garth Tavares.